This shop has housed various trades over the years but from the final quarter of the 19th century until during the Second World War it was a dairy. In 1852 the occupant was R. Smith, a greengrocer. By 1857 this had changed to Edwin Haywood, a boot maker. 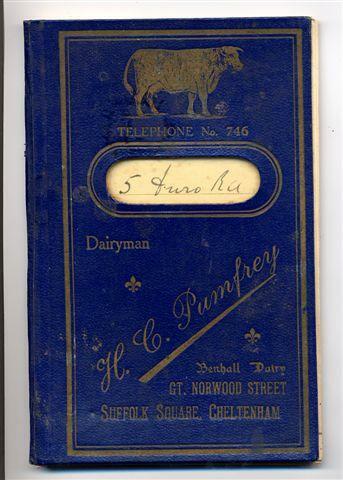 Then, in 1871 came Robert Stephens and in 1881 Edward Stephens, both dairymen. In 1881 this property was advertised for sale with the benefit of a stable and outhouses in the yard, and a pump supplied with spring water. 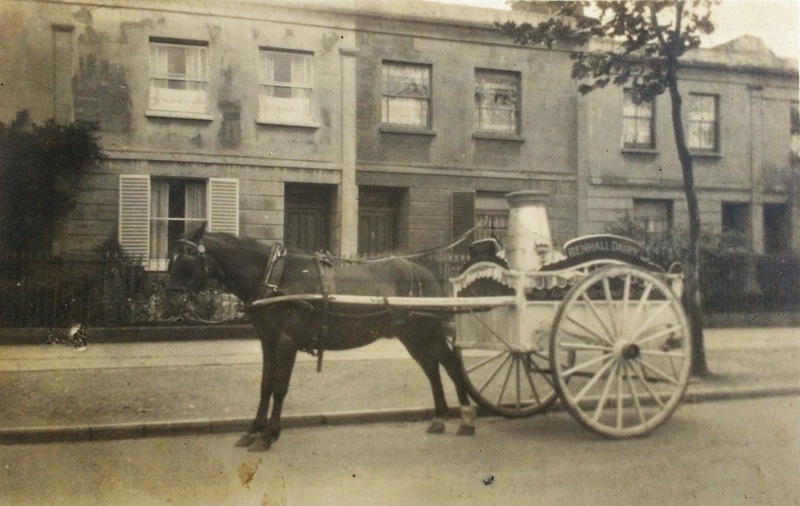 The dairy operated a horse-drawn milk round, so the stable would have been a very useful asset. In the 1890s the shop housed Alfred Green, a cabinet maker and upholsterer but by 1901 another of the Stephens family, Ian, was back here as a dairyman. 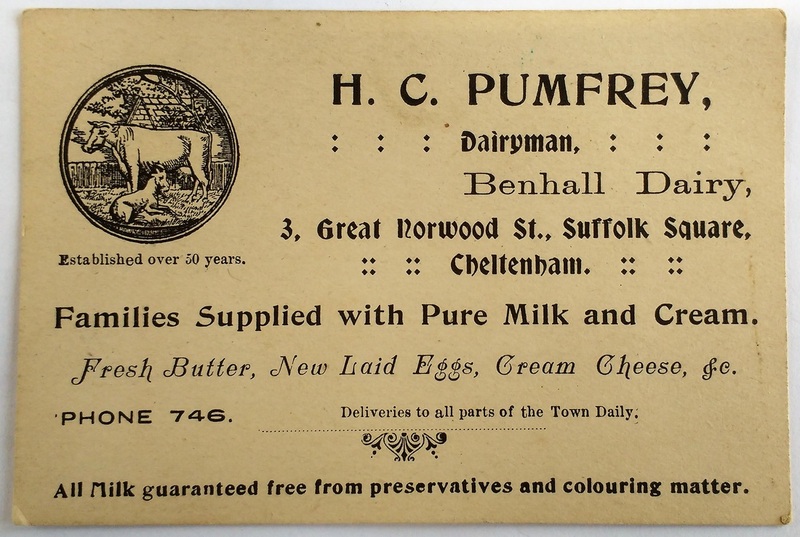 In about 1912 the dairy business was acquired by Mr Harry Charles Pumfrey, of Benhall Farm, adjacent to Arle Court. He renamed the shop the Benhall Dairy and deliveries of milk and other dairy products were made widely around the town. 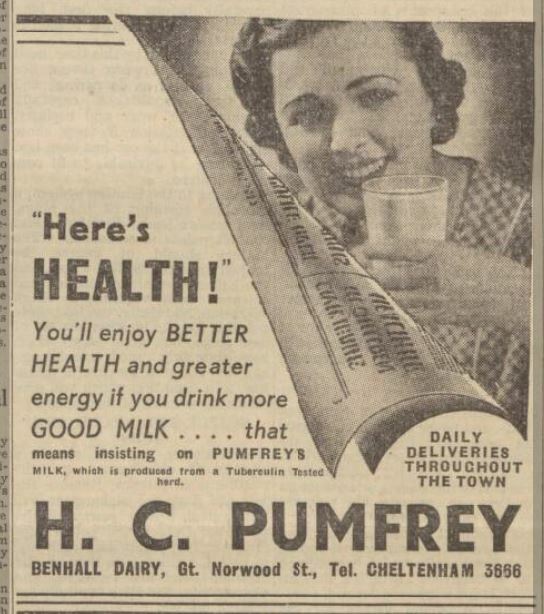 The company seems to have thrived for many years and in 1938 took part in an advertising campaign promoting the health giving benefits of "safe" milk. In that year the British Medical Association reported that 2,000 deaths occurred annually in Britain from bovine tuberculosis borne by unsafe milk, which had not been pasteurised. 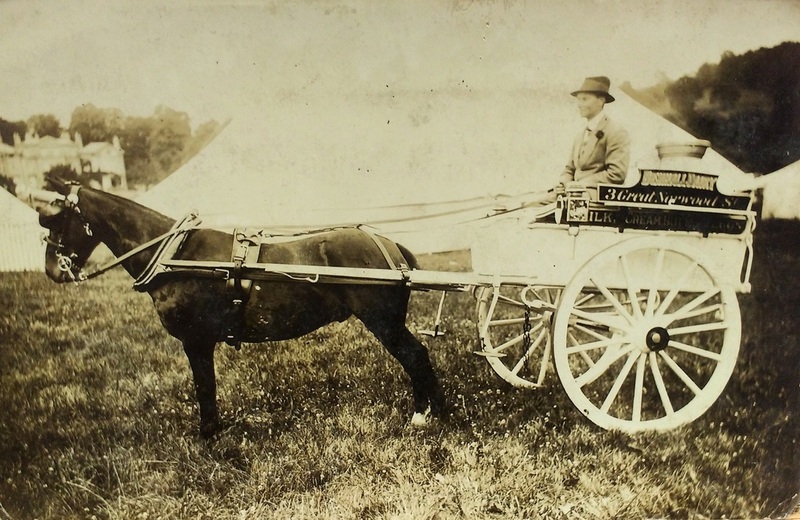 Images courtesy of Gloucestershire Archives, (Ref: D8981), copyright reserved. www.gloucestershire.gov.uk/archives. 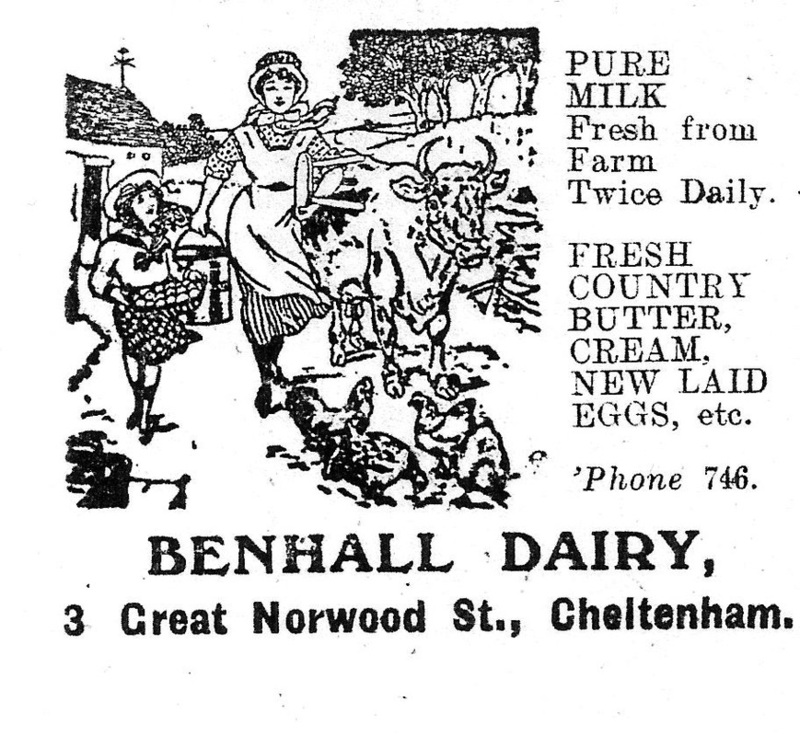 ​​In 1942 the Benhall Dairy was seeking staff to drive either motor vans or horse drawn floats but in November 1943 it was taken over by Gloucestershire Dairies and the shop was soon closed, ending the long association with the dairy trade. These premises then became a greengrocers, as they had been almost a century earlier, owned by Mr Evan Meyrick Chapman. 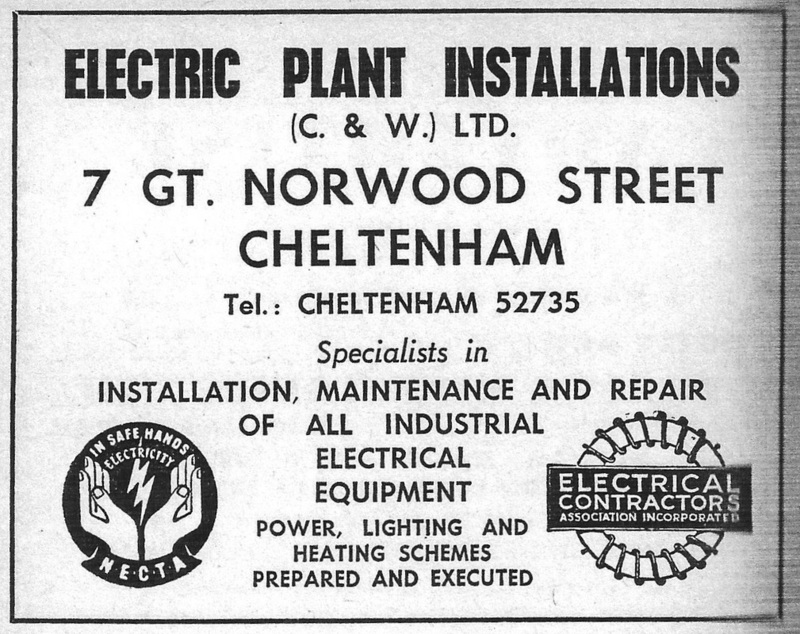 ​By 1961 food retailing had given way to a company called Electric Plant Installations or E.P.I. (Birmingham) Ltd, an electrical contractor. This trade continued under C.F. Roberts Ltd until at least 1975. ​Today this is a high quality used clothes shop called Mint.